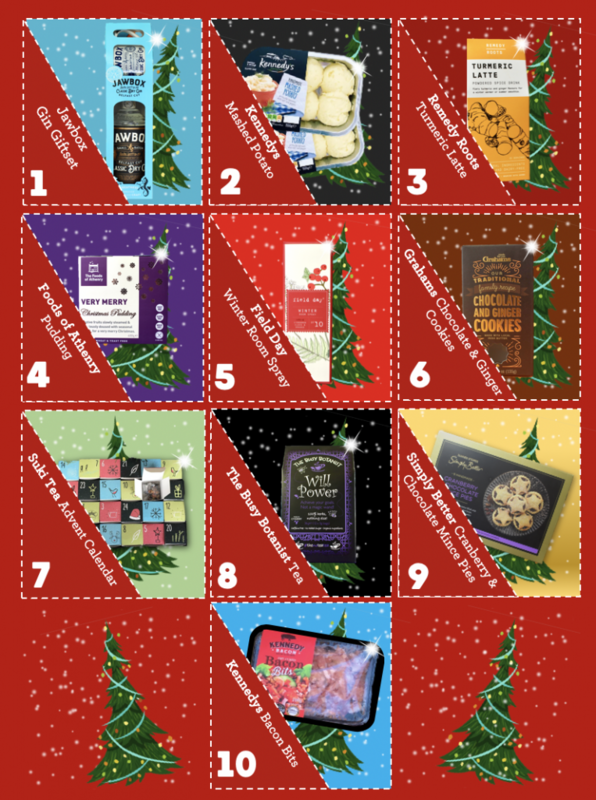 Chr_ _ _ _ a s is *just* around the corner – practically knocking on the door, so we’ve decided to create a little digital advent calendar of 10 little doors with our Merry Must-Haves for this Christmas! Let’s get started – there’s a lot to get through. Somewhere, some wise person has said that Christmas isn’t complete with out a globe glass of Gin in hand. We agree. 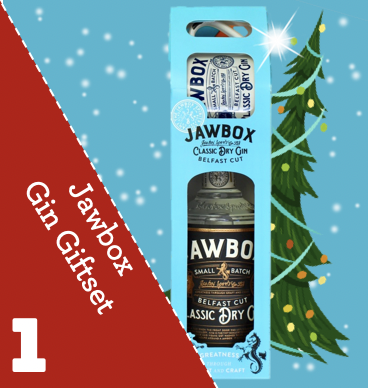 We love this Jawbox Gin giftset that we created that holds a large Jawbox Gin bottle and enamel cup, and is the perfect gift for gin lovers everywhere. Quite literally everywhere, because this gorgeous gift box is available in both Belfast airports and Ocado so whether you’re an expat or a homebird, you can pick one up for yourself, family or friends. 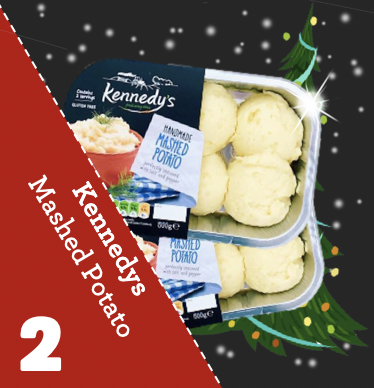 Listen, the ‘perfect’ mashed potato varies from household to household, but if you’d like to avoid the annual argument of whose is best – just go for Kennedy’s. It really is the best creamiest most buttery mash on the market and it might just save you a family feud. 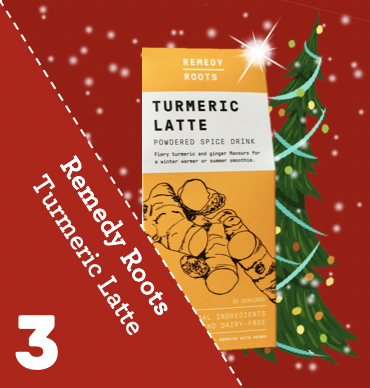 Sniffles season is officially upon us, and if you want to make it through December without diseasing everyone around you – it may be an idea to pick up this Remedy Roots Turmeric Latte. Turmeric is naturally full of antioxidants and anti-inflammatories, so basically all the good stuff that will help you battle the bacteria just in time for the holidays. Use it as a winter warmer or whiz it in with a smoothie, and you’ll be cured in no time. 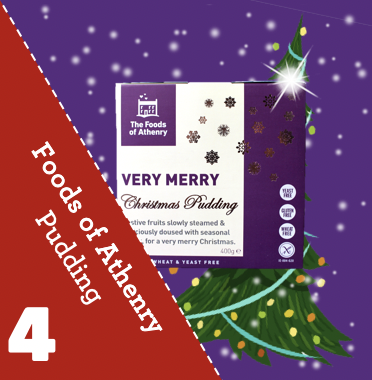 Ahh, what is Christmas without the unmistakable purple packaging of a Very Merry Foods of Athenry Christmas Pudding? Nothing, is the answer. You may have great-Grandmas rustic recipe on standby for the big day, but why wait? Why fuss? When Foods of Athenry have done all the hard work for you? Bursting with festive fruits and gluten, yeast and wheat free this perfect little pud will help keep things very merry, and stress free! Winter is coming – and this time in Room Spray form. Yes, every year the limited edition Winter Candle comes out and we all lose our minds a little. 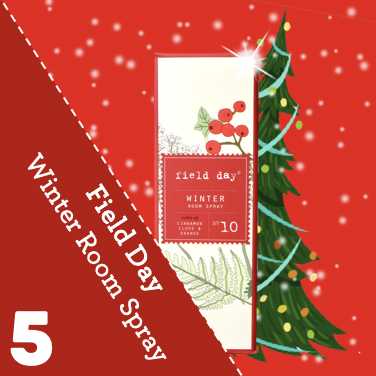 The cinnamon, clove and orange scent is a staple in any Northern Irish home and is now available in a room spray. We’d be lying if we said we haven’t had our Winter candle burning since the first day of November. Nibbles. If Christmas wasn’t known for the main big meal, it would be known for all the sneaky in-between-y snacks that get consumed every few seconds. 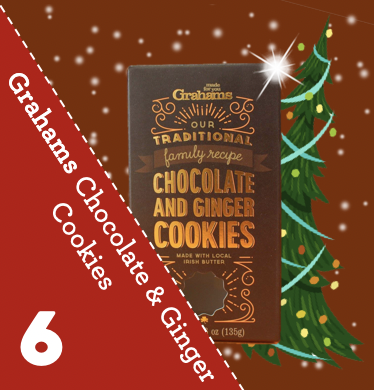 If you’d like to treat your guests to something a little more sophisticated on the snack front, gingerly leave out these Chocolate and Ginger cookies and hope that they all don’t get devoured in 2 seconds flat! 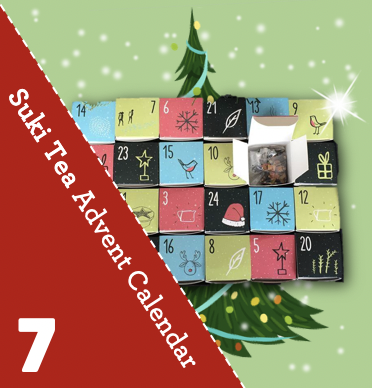 Those smartypants at Suki Tea have come up with this amazing advent calendar full of your favourite teas, which one will you get? Who knows! Behind each door is another fabulous blend in a cute little compartment with just enough tea for you – no sharing chocolate here! Yes, yet another herbal tea on our list – but we are a nation of tea drinkers, so it would be simply unacceptable to have less than 3 tea brands on our Merry Must Haves list! The Busy Botanist make teas for every occasion from new mum to sore tum! 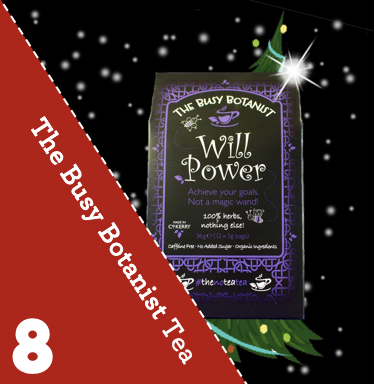 We’ve picked Will Power as our merry must-have which will hopefully give you the willpower to wade through the Christmas shoppers, wrap those Christmas presents and reward yourself by winding down with a cup of this cosy tea. It’s probably never occurred to you that mince pies could be award winning. I mean, could a mince pie really be that good that it can win an award? Well yes, yes it can. 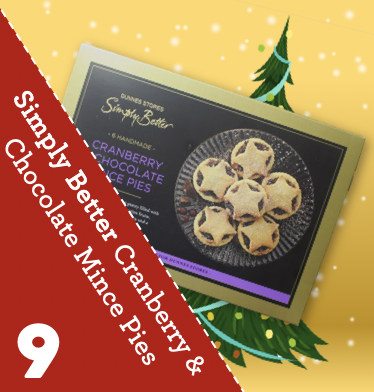 These all butter Cranberry and Chocolate Mince Pies have caused quite the frenzy recently – making their first debut last year, they’re back again this year in Dunnes Stores and this time with the Christmas Product of the Year award from the Irish Quality Food Awards! Snap these starry little wonders up before they go! There’s something to be cherished about proper bacon. 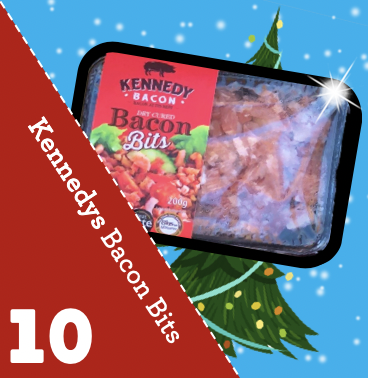 Kennedy’s makes proper bacon, and proper bacon bits that are dry cured by hand and have no added water – they really live up to their Bacon at its Best tagline. Throw these bacon bits into your stuffing, or mix them in with your Brussels sprouts, because proper bacon helps to make a proper Christmas Dinner!